Cognition, the Proceedings of the Cold Spring Harbor 79th Symposia on Quantitative Biology, captures many of the tremendous discoveries currently being made by neuroscientists and psychologists working on cognitive processes at scales varying from the molecular to circuit to whole-brain and theoretical studies. Major advances in understanding cognitive function, including learning, memory, language, and decision-making, are being made through the application of powerful new techniques and approaches. The scientific results discussed in this volume shed light on many areas of normal brain function but also offer novel insights into the treatment of psychiatric, neurological, and neurodegenerative diseases. This volume includes state-of-the-art neurobiological research at genetic, molecular, cellular, circuit, and whole brain resolution. Additional chapters address computational neuroscience, behavioral and psychophysical studies, and evolutionary/comparative neuroscience. 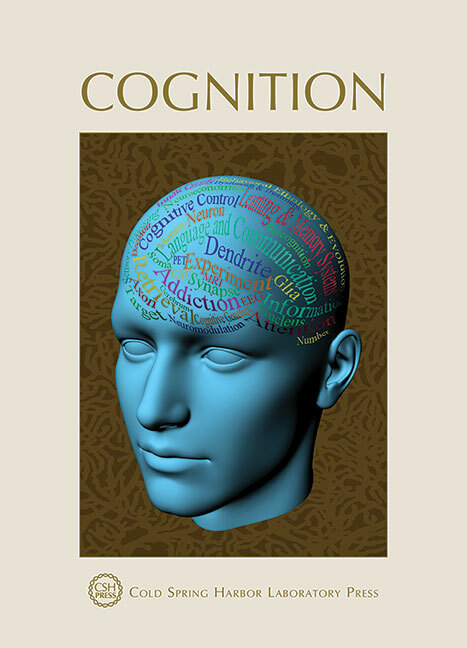 The Conversations included in this volume are based on interviews conducted during the Symposium and offer a broader anecdotal perspective on this fascinating subject by many of the world’s leading cognitive neuroscientists. The Symposium Proceedings provides an integrative overview of the current state of the field as well as a glimpse into the emerging connections between molecular/cellular/circuit mechanisms and higher brain function by leading authorities in the field. IMAGE: Watermark inspired by Santiago Ramon y Cajal (1852-1934), a distinguished Spanish neuroscientist who, together with Italian Camillo Golgi, won the Nobel Prize in Physiology or Medicine in 1906 "in recognition of their work on the structure of the nervous system."